As you may be aware diabetes affects 5% of Australians, with current population this translates to over 1 million people. Seventy percent of these individuals will develop diabetic eye disease within 15 years. At Riverside Eye Care we are well equipped to diagnose and manage these changes in their most subtle form. We liase with general medical doctors and eye surgeons to give you the best options in preserving your sight. 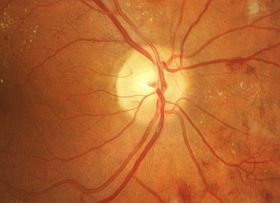 The retina at the back of your eyes shows micro bleeds, sometimes swelling,or out-pouchings of blood vessels can develop referred to as aneurisms. These findings may or may not affect your vision in early stages. The lens present inside your eye can experience clouding .In this case the capsule becomes swollen .The effect is clouded vision. Glaucoma is a disease of the Optic Nerve. We know the prevalence of this disease is higher among diabetics. In early stages it has no symptoms. On occasion one of the nerves supplying the eye muscles,responsible for its correct positioning can be affected.This leads to ocular misalignment type of problems.Some individuals being unaware of the involvement assume an unusual head tilt. As part of your diabetic assessment we strongly recommend retinal imaging ,which heightens the sensitivity of detection of micro-vascular disease.We provide high resolution imaging (not found at all practices) and have archiving capability for future cross referencing. Local Eye Care of your Diabetic Eye Disease.